How to Market Your Business on Instagram | SeedX Inc.
There’s no doubt that Instagram is one of the most popular platforms for marketing and advertising. Since it has over one billion active users, it allows businesses to instantly reach a huge audience. Over a couple of years, Instagram has also developed multiple tools to help the users run their business on this platform, grow their influence and increase revenues. Nevertheless, despite the variety of options and tools that Instagram offers business owners, there are still fewer business accounts on Instagram, compared to the general amount of active monthly users. According to Statista, in November 2017 there were only 25 million active Instagram business accounts. And since the beginning of 2018, this number hasn’t seen too much growth. Having an Instagram account is among the must-know social media trends of 2018. And yet, there are still many reasons why businesses refuse to set up an Instagram account and advertise there. There are some frustrating problems with Instagramming for business, including balancing multiple Instagram accounts and posting around your optimum sharing schedule. Yet, these problems are easily fixable and are nothing to be afraid of. But some entrepreneurs still feel indecisive about setting up an Instagram business account. They often doubt whether such move will be justifiable over time, or they fear that marketing on Instagram will be very time-consuming. But to get rid of your fears and doubts, you just need to give a shot and start. And we are here to help you with a complete guide on how to set up your Instagram business account. We’ve also prepared a few useful tips to help you make Instagram marketing easier. If you don’t have an Instagram account, you need to start from scratch. You can sign up on Instagram either using your phone number or email. Your choice depends on what you’re comfortable with. If you don’t want to get notifications and SMS updates on your phone, you might want to opt for using your email address. Choose the option that you know will definitely work for you, as this is how you’ll get all your notifications. There’s also an option to log on Instagram using your Facebook page. This step requires that you enter your full name and password. We recommend entering your real full name if you want to create an Instagram business account, as you will probably have to communicate with the Instagram support team at some point. You can also sync your Instagram accounts with your contacts. This way all people on your contact list, who have an Instagram account, will see that you’ve created your own account. Also, if you’ve chosen to log on using your Facebook account, all your friends will also see that you’re now using Instagram. Instagram generates your username automatically. 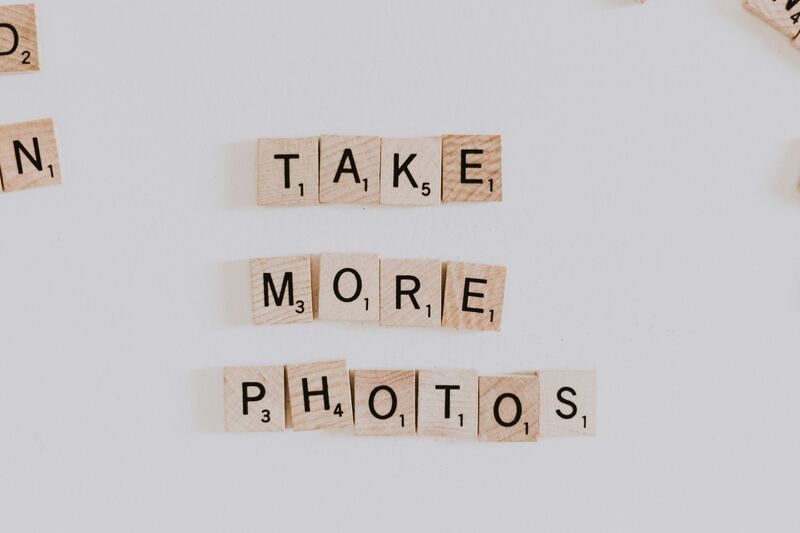 But you can change it (and you should definitely do it) if you want to set up an Instagram business account. Just tap a “Change username” link and enter a name of your brand. The username of your primary choice may already be taken. So think of adding some words that characterize your business or add some symbols. If the username is not already taken, you’ll see a green check mark. You’re required to set up a profile photo that will help you get recognized. Tip! If you’re setting up an Instagram business account, use your company’s logo as a profile photo. If you want your brand to get recognized on Instagram, you need to start off with the logo. Now you have your Instagram account ready to go! You can change profile settings by clicking “Edit profile” or make other changes like connecting your account to Facebook if you haven’t done it yet. On the top right corner on your profile page, there are three dots. After you click on them, Instagram redirects you to settings. Choose the respective option in on the Settings page. After that, you’ll see a welcoming page with the description of possibilities offered by Instagram for Business. After you’ve read everything, click “Continue”. After you click “Continue”, Instagram redirects you to the next page, where you need to choose categories for your business profile. Choose categories that best describe your business, services you’re providing and the aim you want to pursue. You can choose from several categories. The choice of particular categories for your business will define your target audience. After you choose the correct categories for your business, Instagram will ask you to re-check your email address. It will also require that you connect your Instagram to your Facebook account if you haven’t don’t it yet (you can skip this step and do it some other time). This is it! By following these three steps you can turn your Instagram account into a business account. After that, you will be able to find all necessary information about promotion payments, activity status and so on by going to Settings and picking the respective options. You can also go back to Personal Account if you no longer want to advertise your business on Instagram. Instagram is a great platform for marketing your business. It gives you an opportunity to create content people want to share and post amazing, one-of-a-kind ads in the format of images, carousels, videos, and stories. But there are more to marketing on Instagram than meets the eye. We’ve prepared a few tips that will make marketing on Instagram easier and more effective. Instagram offers many opportunities to market a business but it’s not about hard-sell advertising. Making amazing Instagram ads may be tricky and requires a lot of planning, audience and feedback analysis. When marketing on Instagram, you need to offer your audience something that will be valuable. Ask yourself, how will your product or service make the lives of your followers better, and you’ve got your answer. However, it’s not enough. Ideally, you need to make your ads blend in the feed of your followers without them noticing that you’re trying to sell them something. Clinique, for example, are known for creating an easy-going content that fits in the Instagram feed perfectly. They don’t push their followers to buy anything. Instead, they write amazing product descriptions to engage their followers and inform them about the discounts and special offers. So they don’t annoy their followers with hard-selling ads, instead, they offer them something valuable. It has become very popular to ask your Instagram followers to share your posts and give them something in return. You can offer your followers discounts or some of your products. This is a great way to treat your followers, as well as gain new ones. This shows how appreciative you are of their attention and loyalty, and it will definitely greatly contribute to the positive customer journey. Southern Craft Room often treat their followers by arranging giveaways. They specialize in décor and they often offer their followers some unique craft work they will definitely appreciate. All they ask in return is to share their post, tag three friends and follow some of their business partners to enter the giveaway. The scheme is simple and always works perfectly. The last small but a very important tip is to create your own hashtags. You can create a hashtag using the name of your brand, the slogan you’re famous for and other words and phrases you often use for marketing. Having your own hashtag will make your business stand out and become more recognizable. It will increase awareness and let people easily follow your brand. So even if you’re just starting with your Instagram business account, you should put your custom-made hashtags in the first post to help your followers trace how your brand is developing and growing. Don’t question Instagram’s ability to help you promote your business! It’s a very powerful platform and it can make advertising and marketing much easier. Hopefully, our complete Instagram business account guide and tips will get you off on the right foot. Don’t hesitate: Instagram can definitely help you grow your business faster and get you on the road to success!